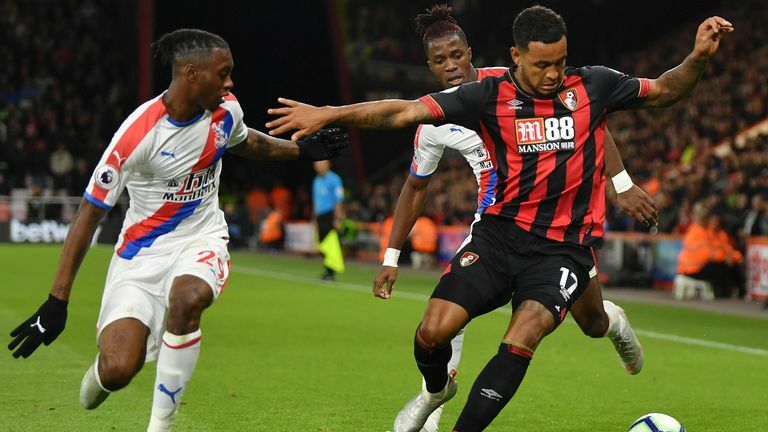 Bournemouth maintained their best start to a Premier League season with a 2-1 victory over Crystal Palace on Monday Night Football. David Brooks opened the scoring with a peach of a left-footed strike (5) but Palace improved after the break and levelled through Patrick van Aanholt (55), despite him looking a yard offside. The spoils looked set to be shared, but Junior Stanislas hit the winning goal from the penalty spot (86) after referee Mike Dean had spotted an elbow from Mamadou Sakho on Jefferson Lerma. Eddie Howe's men are unbeaten in their last 12 Premier League games against teams outside the big-six. 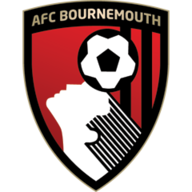 Eddie Howe made two changes from the 4-0 Premier League loss at Burnley last time out with Lewis Cook and Simon Francis returning while Max Mayer replaced Cheikhou Kouyate in Palace’s only change from their 0-0 draw with Newcastle. The Londoners lacked a cutting edge in the final third as their tally of just five goals in their seven league matches will be a worry for Roy Hodgson moving forward. Palace had kept clean sheets in their last three games in all competitions but it took the creative Bournemouth attackers just five minutes to open up the visitors. Adam Smith sped down the left and crossed for Callum Wilson, who held the ball up before setting up Brooks. He hadn't scored from any of his 12 shots so far this season but buried this one into the top corner with a top-class strike - his first goal since joining for £11.5million from Sheffield United. After a lacklustre first-half showing, where they hardly tested Asmir Begovic, Palace responded by stepping up the intensity in their play and were level on 55 minutes. Wilfried Zaha - quiet up until this point - found a clever pass to the galloping Van Aanholt, who looked half a yard offside. The flag stayed down though and the full-back sent a soaring right-footed strike into the net, which was his fifth goal in his last 11 appearances. Neither team were settling for just a point and it was the hosts who produced the decisive, match-winning moment. From a set-piece, Sakho stupidly raised an arm into the face of Lerma and Dean had no hesitation in pointing to the spot. Substitute Stanislas had only been on the pitch for three minutes but he stayed cool to fire his team to all three points with his first touch. The Dutchman channelled the spirit of the on-looking Frank De Boer in the Monday Night Football studio with a faultless display at the heart of the Bournemouth defence. Co-commentator Andy Hinchcliffe was purring over his contribution to the game. He said: "There is so much to admire about Bournemouth going forward but Ake hardly put a foot wrong. He was good on the ball, made clearances, made blocks and he led his back four really well. A superb all-round performance." England U20 World Cup winning captain Lewis Cook made his first Premier League start of the season and was tidy in possession but faded as the game went on. The most impressive Englishman on the pitch was Aaron Wan-Bissaka, who coped with Ryan Fraser for large parts and was cool with his distribution. Bournemouth have won a Premier League game on a Monday for the first time, in their sixth attempt (D1 L4). 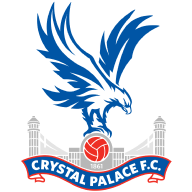 Crystal Palace have won just one of their last six top-flight games (D1 L4), after winning each of the four before that. At 21 years and 84 days, David Brooks is the youngest player to score for Bournemouth in the Premier League. Callum Wilson has been directly involved in four goals in his last four home Premier League games for Bournemouth (1 goals, 3 assists), one more than he managed in his previous 12 (3). Since the start of last season, Crystal Palace's Patrick van Aanholt has scored six Premier League goals; among defenders, only Marcos Alonso has more (8), with Nacho Monreal also on six. Wilfried Zaha has had a hand in 10 goals in his last 12 Premier League appearances (8 goals, 2 assists), one more goal involvement than he managed in his 32 games before that (9). Bournemouth's Junior Stanislas has scored in three consecutive Premier League home games for the first time since November 2009 with West Ham. Nathan Ake says Bournemouth have started the season well but they must now maintain momentum, following their 2-1 win against Crystal Palace. "It was a difficult second half for us. I thought Crystal Palace played well and we took a bit of a while in that half to get in our stride. Once we did, we had some great chances towards the end of the game and it's a massive win for us. "They've got some very good players in the attacking areas and we just got pinned back. Our two strikers didn't become a force in the game at that moment. It was all hands to the pump to keep them out and, if anything, the goal they scored released that pressure for us. "We made a tactical switch and we were able to build on that and finish the game really strongly." Eddie Howe says it was a huge victory for his side following their 2-1 win against Crystal Palace, and praised the way Bournemouth finished the game so strongly. "I thought we played well in the second half and it's disappointing to end up on the losing side for a penalty we gave away right at the end. That's disappointing, of course. "Both the free-kick and the penalty were errors on our part and we paid a high price for it. We shouldn't have given a free-kick away and I've told Alex that. Bournemouth best of the rest? "It was an unnecessary push in the back so I'm disappointed about that and the penalty… I don't know that Mama deliberately tried to catch him with his elbow." Crystal Palace manager Roy Hodgson says it is disappointing to end up on the losing side after his side played so well in the second half of their 2-1 defeat to Bournemouth. Both teams are back in action on Saturday when the Cherries take a trip to Watford while Crystal Palace host Wolves.